The filmmaking process is a collaborative one. We’ve gathered a select group of artists who each bring a unique vision, talent, and passion to the work we produce. We refer to them as the Dare Dreamer Media Collective (or the DDMC). Every filmmaker, actor, and photographer who works on a Dare Dreamer Media project has been hand-picked for their ability to produce work on par with the style and standards that we require. 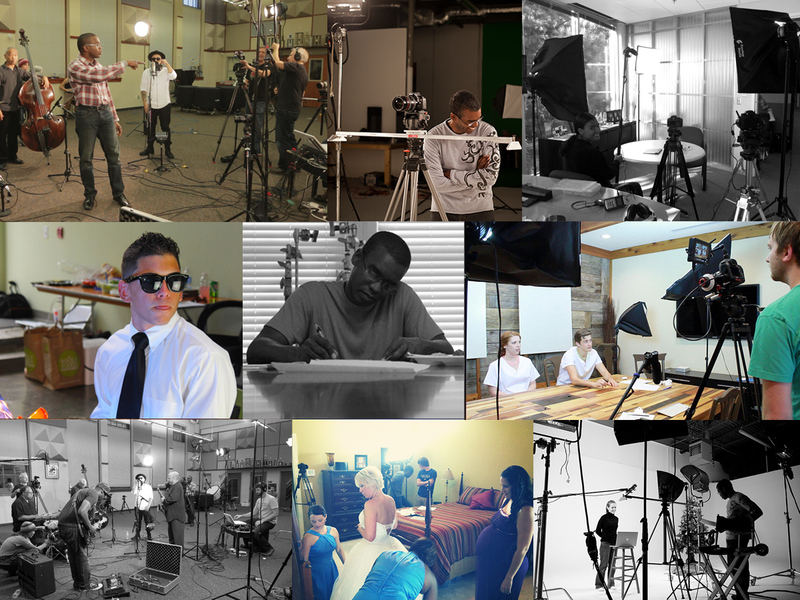 Because of Creative Director Ron’s status as a speaker, writer, instructor in the industry, as well as his being producer and host of the popular filmmaking podcast “Radio Film School,” DDM has also formed a network of filmmakers nationwide. So if for whatever reason you can’t bring our Seattle team out to you, there’s a good chance we already have trusted and talented filmmakers in your backyard. The “captain” of the DDMC is Ron Dawson. The first “movie” Ron ever made was a time-travel crime caper shot on 8mm film on-location in Disneyland and Universal Studios (this was back when those parks were only in California). He was about 9. In 1992 he enrolled in De Anza College’s Film & Television Fiction Workshop program. That is where film discovered Ron. Ten years later he left a comfortable, six-figure salary as a business development and marketing manager in Silicon Valley to pursue his passion full-time and start what would evolve into Dare Dreamer Media. (Below is the podcast episode where Ron talks about this experience). He’s been going strong ever since. Ron is an accomplished screenwriter, director, award-winning video producer, speaker, business coach, and author. He serves as the managing editor for the post-production blog Frame.io Insider and for two consecutive years, he was named to the EventDV 25, one of the top 25 video producers in the industry. He writes about the art and business of filmmaking and photography at DareDreamer.com, and has contributed as a writer to a number of notable websites and magazines including Professional Photographer, Zacuto, EventDV, PhotoFocus, and more. Ron and his wife co-authored the PeachPit Press book “ReFocus: Cutting Edge Strategies to Evolve Your Video Business.” A little-known fact about Ron: he used to dance on a “professional” swing dance troupe. Ron was also the host and producer of the first radio documentary podcast series about the art and craft of cinema and filmmaking—Radio Film School. Think of it as “This American Life” for filmmakers. Below is the episode about Ron’s experience at film school.